Sipa recently agreed to earn up to 80% of a very interesting gold-copper prospect from private company Ming Gold known as the Great Sandy Project. The company will spend up to $3m over 4 years to earn 80% of the project with a 2 year 51% milestone along the way after spending $1m. 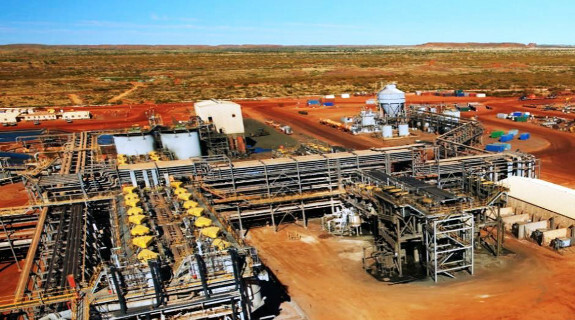 The region plays host to a number of “elephant sized” deposits such as Newcrest’s revered Telfer gold mine, one of the largest gold mines in the country. Telfer, which is only 120kms south of Sipa’s new Great Sandy Project has historically produced over 10m ounces of gold with over 500 000 ounces of gold and 23 000 tonnes of copper produced last year alone. About 125 km’s to the South East lurks the 30 000 tonne a year Nifty Copper mine that boasts a resource of around 25m tonne grading 2.11% copper. Only about 20km to the South East is ASX listed Antipa Minerals’ Citidel gold-copper project that turned a few heads when Rio Tinto agreed to spend $60m on it to earn a 75% interest. That project has already proven up 1.2m ounces of gold and 139 000 tonnes of copper. It also boasts some extraordinarily long intersections including 23m @ 3g/t Au and 0.33% Cu and 63m @ 2.2g/t Au. Whilst it seems obvious that there are multiple gold copper expressions at surface in the Paterson region generally, the Great Sandy project is a rare find in so much as it has been underexplored, mostly because it hosts a 70 – 120m sediment cover which may have been masking mineralization below. Interestingly a small amount of drilling by the previous owner Ming Gold, proved that there may be something lurking below the sediment cover with results like 19m @ 0.2% copper including 8m @ 0.32% Copper providing some comfort that this is not just a nearology play. Drilling is also about to commence at Sipa’s flagship Uganda Nickel / Copper / Zinc projects in early April which, when combined with other exploration activities in the Paterson should make for good news flow well into May/June/July.